The Chinese Laundry South Bay Boot is stunning as an over the knee boot or the top can be folded down for a very chic look. Pull on style with an elastic gore at the back. 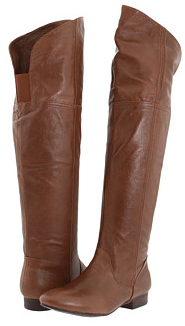 Soft, buttery leather to spoil yourself anytime you wear them!